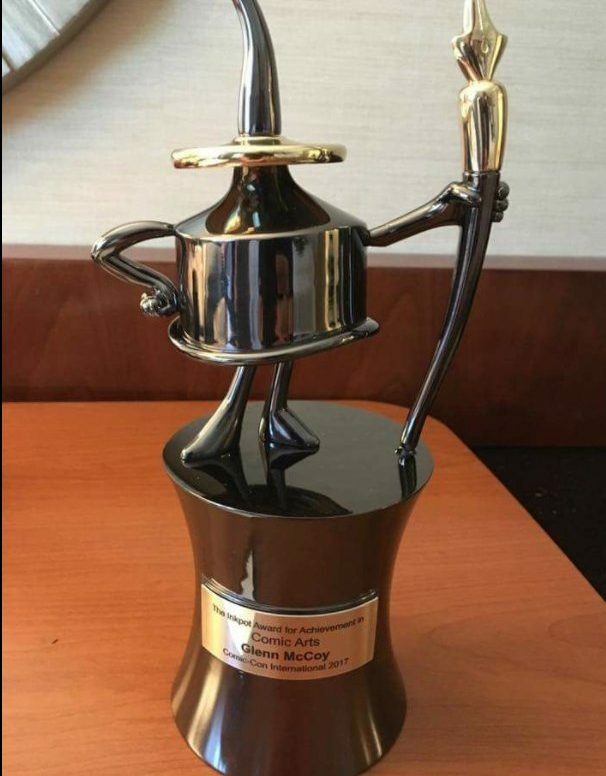 Many creators were honored with Comic-Con International’s Inkpot Awards this past weekend, given for their contributions to the worlds of comics, science fiction/fantasy, film, television, animation, and fandom services. The convention has not yet updated its list of winners or answered my information request, but all of the following artists, writers, and media figures were reported by social media as 2017 award recipients. This entry was posted in Awards and tagged Inkpot Award by Mike Glyer. Bookmark the permalink. Oh, man, that is an adorable award, and a lot of worthy recipients.